St.-Sgt. 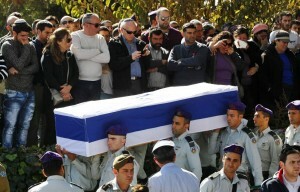 Dor Haim Nini was buried in his home-village of Shtulim. 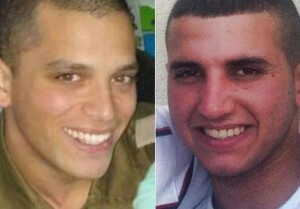 Jerusalem — Hezbollah guided missiles killed an Israeli infantry major and a soldier as they rode in unmarked civilian vehicles along the Lebanese border on Wednesday. The IDF responded by launching an artillery and air barrage, and a Spanish UN peacekeeper was killed. Israel said on Thursday that its deputy foreign minister met the ambassador to voice regret at the death and promise an inquiry. Wednesday’s fire fight was one of the most serious on that border since 2006, when Hezbollah and Israel fought a 34-day war. Quiet returned on Thursday. Prime Minister Benjamin Netanyahu is at the Defense Ministry in Tel Aviv, currently holding an assessment of the security situation. Defense Minister Moshe Yaalon, IDF Chief-of-Staff Lt.-Gen. Benny Gantz, ISA Director Yoram Cohen and other security officials are also taking part. At the start of the discussion, Prime Minister Netanyahu said, “I would like to send condolences to the families of the fallen and my best wishes for a full recovery to our wounded soldiers. Whoever is behind today’s attack will pay the full price. For some time, Iran – via Hezbollah – has been trying to establish an additional terrorist front against us from the Golan Heights. Yaalon described Israeli forces on the Lebanese border as being vigilant, but not on war footing. In Israel, schools in the North reopened today, as did Mount Hermon ski resort. 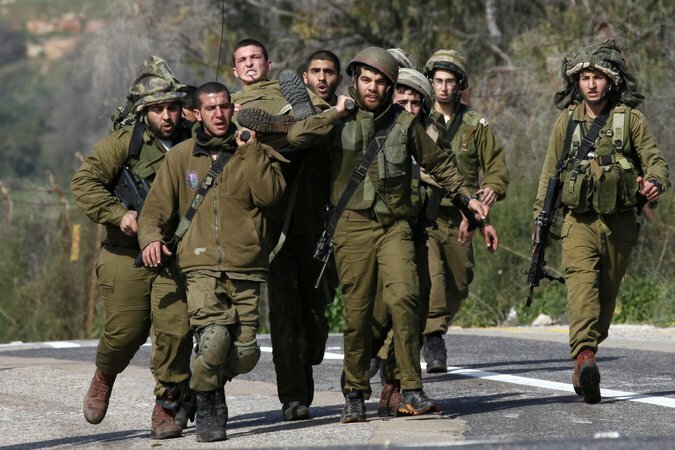 Analysts stated that Israel, fresh from a summer war with Hamas in Gaza and heading for a general election in March, was not eager for a full-scale conflict. “Hezbollah is very busy in Syria; the last thing that it needs is a second front,” said Yaakov Amidror, a former IDF major general.